Since I was 14 years old, I've been obsessed with ghd hair straighteners. They're the classic straightener and for most people, the number one choice for styling hair. 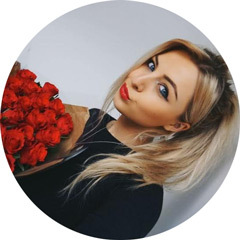 They're used in hair salons all over the country and they've won numerous awards in the beauty industry for being the best of the best. I have to say, over the past ten years I've been styling my hair, I haven't strayed away from my beloved ghd's once. I've had a few different pairs over the years (mainly for the different colours, not because there was anything wrong with them) and I've loved each and every one of them. 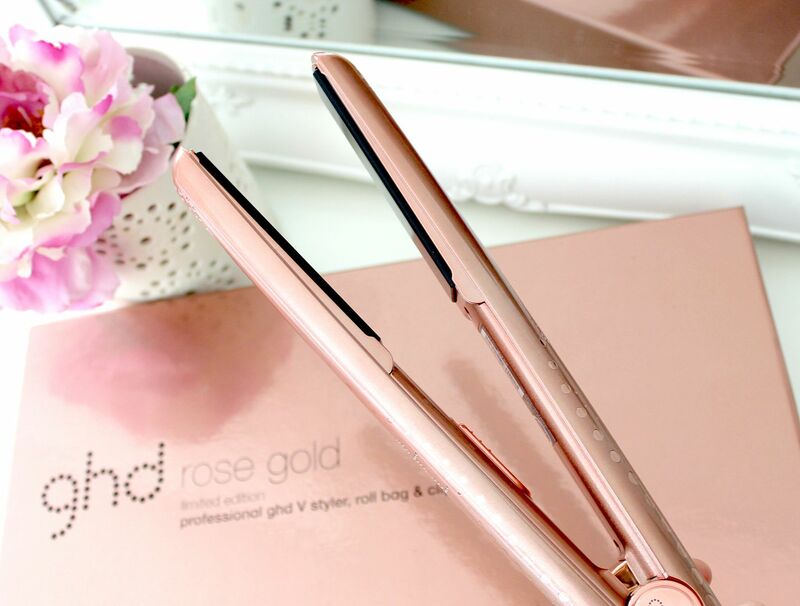 The latest pair of ghd's to come into my life are their limited edition rose gold pair which were very kindly sent to me by Jen's Journal, a fab new website aimed at females which provides articles, hints, tips and advice on fashion, hair, beauty and lifestyle. Its a fab read! Back to the straighteners and I just can't describe how much I'm in love with them. I'm completely obsessed with all things rose gold and these are just beautiful and look stunning sat on my dressing table. They're definitely the prettiest straighteners I've ever owned! They also come in a gorgeous matching rose gold box which includes a heat resistant case / mat (perfect for travelling), two sectioning clips and a protective plate guard which allows you to pack up your straighteners straight after use which is SO handy as I hate having to wait for them to cool down if I'm in a hurry and need to take them with them. As well as looking good, the straighteners themselves are fantastic. They straighten my whole head of hair in a around 10 minutes (and I've got a lot of hair) and I love using them to create soft curls too. Basically, if you've ever seen a picture of me with straight or curly hair, I've used my ghd's to create the look. I never use a curling tong. I have fairly wavy / crazy hair naturally so they're an absolute must have for me and I rarely leave the house without giving my hair a once over. I also love that they have an automatic sleep mode which means that if they've been left unused for 30 minutes, they'll automatically turn themselves off. This is super handy for someone forgetful like me as there's been many times I've left the house and thought 'oh crap, I've left my straighteners on' and had to go all the way home. With these straighteners, that inconvenient problem can be avoided! There's no surprise ghd stands for 'good hair days' because with these straighteners, you'll never have another bad hair day again! If you love them as much as I do, Jen's Journal are giving their readers a chance to win a pair throughout Feb so do keep your eyes peeled for that. Are you a ghd fan? 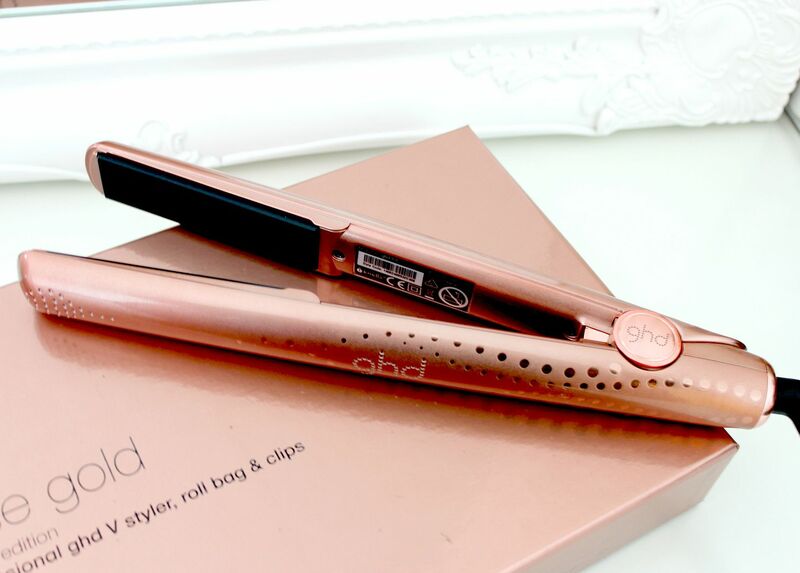 What do you think of these rose gold straighteners? I love ghd and these do look gorgeous! I currently own a black pair but i do love how sleek these ones look, i may have to invest in one myself. These are probably the prettiest straighteners I have ever seen! I have had the same straighteners for years and I am in definite need of a new pair! Oh wow these are absolutely gorgeous, definitely the best limited edition colour I have seen so far! 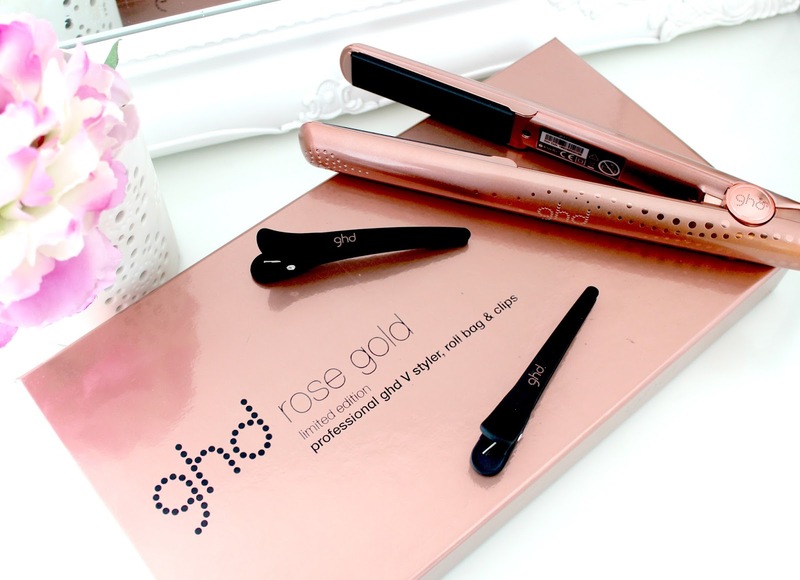 ghd's really are the best and these rose gold ones are fab! I've just treated myself to the new eclipse ones that are supposed to lock moisture into your hair and actually improve it's condition, can't wait to see if they work! Great post! I have the silver version of these. Wish I had the rose gold now they're so so pretty. Mine are actually my first pair of GHD's but I love them already. I'm a massive fan of GHD's, I don't think i'll ever use another brand! These are such a gorgeous colour, and the sleep mode is the best idea ever!! I would love to try GHD! These are extremely pretty! The colour is amazing, I've never seen any rose gold flat iron! Fancy! These a beautiful I would love them! I picked up one of these when I moved here (my American tools did not agree with the power converter paha) and I'm really impressed by it! And, ya know, mine is iridescent blue and purple sooo...what's not to like... Although this one is just gorgeous, I love rose gold. I'm still trying to get the hang of curling my hair with these, I end up with one nice looking curl and then a whole lot of dents all over my head! I love the look of these, such a stunning colour! oh my god I love it so much!! This straightener is soo pretty! I love rose gold! My GHD's are still working after 8 years of having them. It's really time for me to treat myself to a new pair and this pair is such a gorgeous colour. These are ridiculously gorgeous! I love rose gold! Ooh I love! I use amika at the moment, but I may just have to revert back to GHD for these lovely's! I would buy that just because it's so pretty!! I also love the rose gold and that straighter is a work of art. These are so beautiful and GHD's quality is definitely supreme. Well these are just divine. How could we not all lust after these! I’m sold on the colour alone! They're so lovely, I love rose gold products!! This is literally so beautiful I want to cry. I almost want to complain about the price but, being someone who has had a GHD straightener before, I know that they're so, SO, worth it. Great photos, as always, Kayleigh! Yeah ghd flat iron is a great product. My mother also uses ghd hair straightener. They're the classic straightener so most of the people prefer using them. I am so glad to read this article. 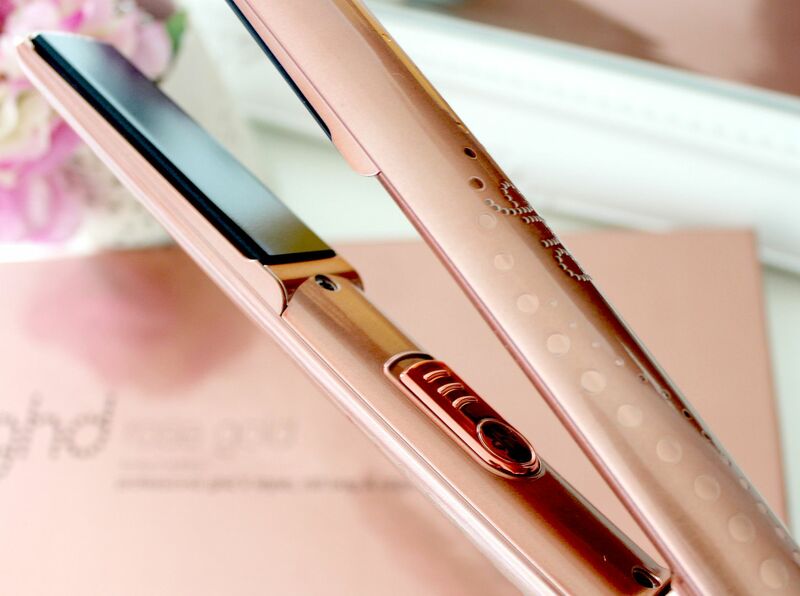 The rose gold color of this straightener is looking superb!